April marks the twentieth anniversary of the re-opening of Bryant Park after an extensive, four-year re-design and renovation. For younger New Yorkers, and those who have moved here since 1992, it might be difficult to think that there was a time when Bryant Park was a symbol of urban decay, and not the vibrant, busy, and beautiful “Manhattan’s Town Square” we all know and love. There was such a time. Bryant Park in 1970s was a down-trodden place, dominated by drug dealers and assiduously avoided by midtown workers. There was no merry-go-round, Reading Room, pétanque court, ping pong, free classes, food kiosks, film nights, or free ice skating. 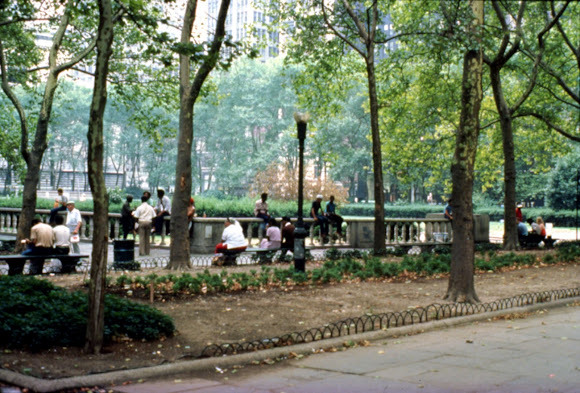 The re-opening in 1992 dramatically capped a multi-year effort by the Bryant Park Corporation to reclaim the park for the people of New York. BPC was founded in 1980, and immediately began improving the park by introducing sanitation and security services, capital improvements, and event programming. BPC’s progress through the 1980’s led to the bold decision to close the park for three years in 1989 to begin the lavish renovation. Upon the re-opening in 1992, the praise was overwhelming and midtown Manhattan has never been the same. The resurgence of Bryant Park is one of the great urban reclamation stories of our time. Look for us to celebrate 20 years of the new Bryant Park in April and beyond. Leading up to that time, we’ll tell you the story of how a dilapidated, crime-ridden park recovered to become one of the busiest public spaces on the planet, and why it is used as a model for how to create vibrant public spaces throughout the world. 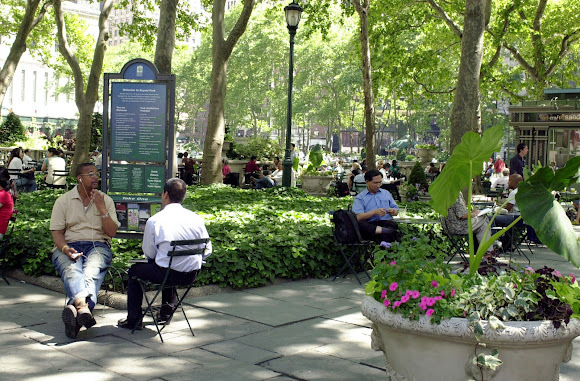 This is an excerpt from a series of articles on the transformation of Bryant Park from our weekly newsletter, MidCity News, written by Terry Benoit. MidCity News keeps park enthusiasts informed about our events, milestones, operations, and all of the detailed maintenance work that goes into caring for the park. Weekly updates are sent with our sister organizations 34th Street Partnership and Chelsea Improvement Company.